Monday Morsel - New Tech Coming! Good morning, and welcome to a new week! October is winding down but doesn’t mean the month’s excitement has passed. This week holds the promise of an exciting week for technology as companies announce and release products they hope will lead holiday sales. Without delving into speculation, I wanted to take a moment this morning to look ahead to the five exciting technology announcements that will make this a big week. iPad mini – As of March 2012, Apple had sold more than 84 million iPads. Still, there are some folks who would like a smaller, lighter tablet from Apple. Enter the iPad mini, which is a great unknown, but there are myriad rumors about the specifications. iBooks 3 – A smaller, lighter iPad will likely be a great device for reading. We don’t know what a new version of iBooks will include, but several eagle-eyed Apple watchers have noticed some listings in iTunes for books that require iBooks 3. We know something is on the way. Hopefully it will be a big deal for electronic reading. iTunes 11 – The new version of iTunes was previewed during the iPhone 5 launch event, but has not yet been released. It is expected to bring a revamped iTunes Store design and offer a number of new features. October 26: The Surface was announced in June, but the base model Surface with Windows RT, Microsoft’s take on the tablet, is due to be released this week. Pricing was announced last week starting at $499, with covers starting at $119. Right now, the Surface is officially on back-order. Hopefully that’s a real back-order and not a euphemism for a delay. Between the iPad we know, the iPad we expect, Amazon.com’s new Kindle models, and the Surface, this may be the holiday season of the tablet. Also on October 26: Windows 8 will be released. I know, I know… I’m a Mac guy, so why does Windows 8 matter? Quite simply, Windows 8 is a major operating system change. It looks and works a lot like a mobile device like a smartphone or tablet. How well that will port over to a computer is a big question, so even though I’m a Mac guy, I’m keeping my eye on Windows 8. 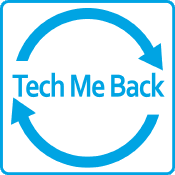 Please give me a call if Tech Me Back can be of assistance to you this week!